ET Yoga is Responsive Fitness Joomla template that targets for yoga instructors, and those running yoga and fitness schools. Yoga Joomla! template will provide your website with that much needed online atmosphere to encourage customers to keep coming back. Either way, these search engine friendly templates will be able to find your blog or website with ease. Our Yoga Joomla! template is fully-responsive and compliant with coding standards, so customers can see your site correctly – whether they are using a mobile or tablet device, or any supported browser. It also builds with latest Bootstrap CSS Framework, Support Font Awesome and K2 extended style. Google Fonts also make sure that the content stands out and eye-catching. They can also keep in touch with you via contact forms and even locate your offices with the help of Google Maps. Furthermore, it comes with 4 color schemes helping to create excellent websites with various layouts. 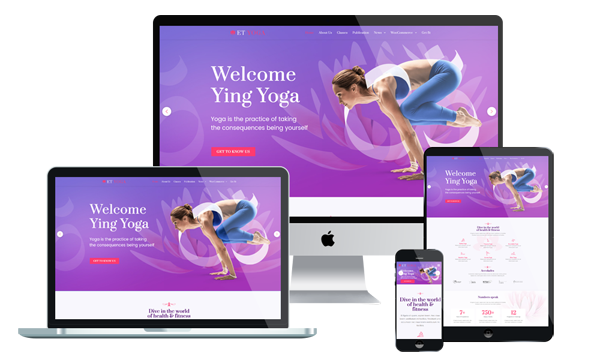 Don’t delay – get your classes online with a professional, responsive Yoga Website Template today.